How An ESA May Help With Depression | ESA Co.
Depression is a serious diagnosis that sharply affects the person, more than just a simple bout of sadness. Before diagnosing somebody with depression, doctors look for symptoms that affect a person constantly for longer than a few days. A person is usually diagnosed with depression when they have a combination of the following symptoms: depressed mood, loss of pleasure in all or most activities, significant weight change or change in appetite, change in sleep or activity, fatigue, diminished concentration, feelings of guilt, and/or suicidality. There are a lot of things that we know about depression and how we are to handle such cases. But depression is a very fragile thing to deal with since it may vary from person to person. Here are some known facts about depression. One of the biggest thing is the onset of depression is different for many people as there are different triggers. Studies have shown that a person that has recently gone through a traumatic event, have had prior history of depression, or if a close family member has battled depression. But that does not tell the whole story since a person can encounter all these but never be depressed. And the inverse is also true, where a person may never have any history or go through traumatic life experiences, but still become depressed. Depression is often called a hidden illness, for multiple reasons. Some people feel the need to hide their symptoms under their upbeat and cheerful demeanors. Depression also affects the brain chemistry. So examining two different brains, one suffering through depression and one not, will yield results showing how there is abnormal firing of circuits and failed brain signals. Emotional Support Animals act as companions to you when you most need it. In the case of depression, they provide many avenues to help you cope. First and Foremost, ESAs are companions. With depression, there are feelings of dread and sorrow that continuously haunt you. What better way to fight these feelings than to be with a companion who is there to cheer you up. 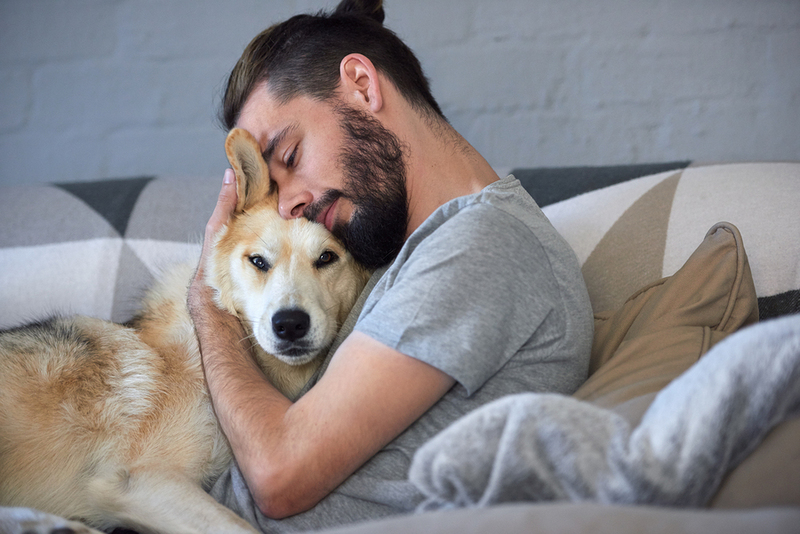 Simply by having an ESA around, a person is able to take their mind off of depression and focus on the happiness of having a pet. Physical contact has been shown through research to have a soothing effect. I think one of the most important things about having an emotional support animal is that the contact is very good for your mood. And not only does it help you out, it also has a reciprocal effect for the animal as well. So you give comfort as well as receive comfort. Life tends to throw curve balls whenever it can, which may send someone with depression spiraling down. If a person is suffering, having an ESA is a perfect way to distract yourself from the terrors that depression causes. Having a routine in which you have to walk or clean an animal gives you means by distracting you from your disorder. Depression is a terrible thing to have to be diagnosed with as millions of people are around the globe. 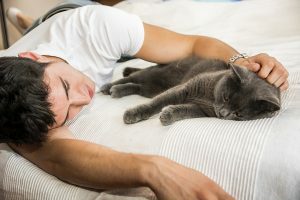 Having an emotional support animal around is a good way to combat those symptoms and fight back.